Scheduled to land in market by 2016, Alfa presented its new model Alfa Romeo Giulia 2016 at the 2015 Frankfurt Motor Show. The most interesting fact about this model (as shared by the company) is that it is capable of lapping the Nurburgring’s Nordschleife circuit in just 7:39.0; yes this indeed is a new record for a saloon car. 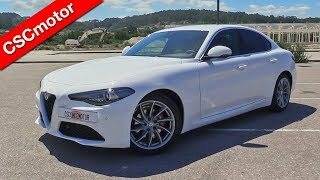 Let us have a look at the review of Alfa Romeo Giulia 2016 to know more about it. 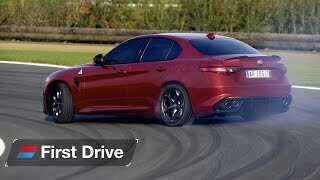 While creating the Alfa Romeo Giulia 2016, I presume that the milestone engineers might had in mind could be to create a firm rival for models like, BMW M3, Audi RS4 and Mercedes AMG C63. I must say they commendably did that. Looking at the model and the features shared it feels like this will impeccable raise the sales by attracting new buyers. The most attractive part here, which I noticed is the front face. ‘Tiger eye’ like LED headlights, nose like V shaped grille and air outlets making the mouth. The front face of Alfa Romeo Giulia indeed resembles to a face sneaking out on streets, ready to grab all the attention you need. Moving further the round wheel arches fitting the massive wheels perfectly. 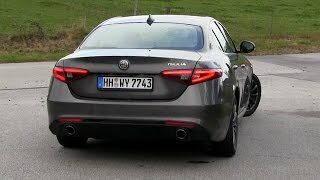 The side profile of Alfa Romeo Giulia is kind of sloppy, portraying the rounded window design. 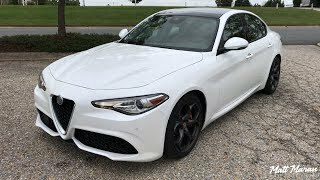 In all rounding up the styling details of Alfa Romeo Giulia 2016 I would say it has class, aggression and looks that will make it difficult for you to resist. Though not enough detail has been shared about the performance of Alfa Romeo Giulia 2016 but we do have a little in our secret box. 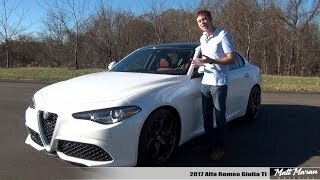 Beneath the hood of Alfa Romeo Giulia 2016 is a six-cylinder engine cranking total output of 510 hp which can take the model to 62 mph in just 3.9 seconds. This is all for now but we do promise to share more as soon as the company unveils it.